Allan joined Watford in the summer of 1998 in a deal which also brought Nick Wright to the club, and was part of the play-off winning side, scoring the second goal at Wembley. He went on to play in the top flight for the Hornets, including scoring a memorable winner against Chelsea. 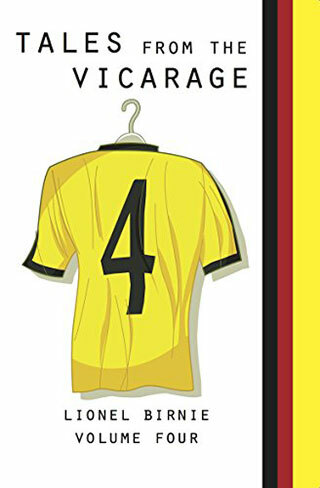 Now retired from the game, Allan spoke to Watford Legends in 2008. Hi Allan, thanks for talking with Watford Legends. How did your move to Watford come about? Was it easy to settle in the area? Yes, very. Graham Taylor was a big part of that. He sent me a telegram when we married, and arranged vouchers as a wedding gift on behalf of the club. He also left messages on my phone to tell me how much he was looking forward to working with me. He’s a great man. I lived in Amersham. My wife was looking for a job in Chesham and we thought it was a lovely area, and we stayed in Duncan Shearer’s parents B&B whilst we sorted out a house. My wife and I miss the area now. We have fond memories. 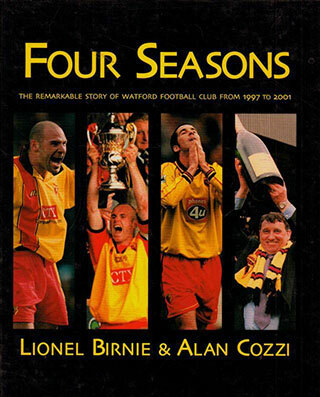 Aside from ‘that goal’, what are your strongest memories of your games for Watford? I remember my debut at Portsmouth, and I didn’t feel it had gone well. Graham Taylor spoke to me on the Monday morning, and explained that I was here not just for one game but for a few years, and just enjoy the football. After that I went on something of a scoring run, starting with a winner at home to QPR in the last few minutes. Did you have a favourite strike partner? I enjoyed playing with Gifton, Tommy was always up for it and Nick Wright and I had a good understanding, but he often played deeper or wider. Nick always chased everything. H was a good lad to play with as well. Great. Not just when scoring goals but overall as well. I really feel they took to me. Still in touch with any of the others? I speak to Steve Palmer regularly, as well as Peter Kennedy. And I often go out to see Mark Williams in Spain where he now lives. I feel that with that team, we all got on really well and still do whenever we see each other. It looked like a good team spirit in that promotion winning team. It was great. It still disappoints me that the team of ’99 never played together again after the Wembley game. Darren Bazeley left and then there were a number of injuries to many of us in the Premier League season – to me, Tommy, Nick. We had a good team spirit in the dressing room and we had no big time charlies. With most of us if we have any names in football we have made our names at Watford. Is ‘that goal’ still fresh in the memory. I can still remember it yes, but I don’t tap into it too much as it is done now and I want to look forward. But I can see how players get depressed when they spend the rest of their years trying to recreate the highs that they experience when they score that type of goal. You left to go to Oldham Athletic, and quite a big fee. It was the lowest point of my career. I wanted to stay at Watford but I wasn’t playing. And I think it was the first time I was money motivated as to where to go. Watford had made it clear over the summer that myself, Pagey and Neil Cox were all going on the list, but I said to them I wanted to stay and fight for my place. That though, becomes impossible when you don’t get taken away on pre-season etc. I had never been a reserve player, so it was hard to accept. I was set to go to Hibs but the deal fell through, but Oldham quickly came in. And I really moved out of desperation. I wanted to play football. I would rather have been at Watford though. So could you clarify what happened? We had a players’ night out where I got arrested. I think Oldham used this situation as an excuse to sack me because I hadn’t scored bags of goals for them and I left before I had been prosecuted for anything. And when you’ve been sacked by the club, it also looks bad in court. So what were you prosecuted with? Resisting arrest and assault on a police officer. From my point of view I thought his (the policeman’s) manners were shocking, and he didn’t like it when I told him to F*** off, when all I wanted to do was get in a taxi and go home. I had a broken nose and was well beaten up by the policeman. I just bent his thumb back in the scuffle. It was ridiculous really. I employed the same QC who defended Woodgate and Bowyer, because as much as anything it was my occupation was on trial. I was advised to plead guilty on a lesser charge to save a prison sentence. I got 100 hours community service. But to be in a magistrates court is humiliating enough. You go in there suited and booted and you see kids in baseball caps who are there every week and have no respect. Just going to court was humiliating enough. And then on to Dundee Utd, Crewe, MK Dons and Bury in quite quick succession. Was it a matter of just earning a living as a player? We had just moved into a house, just had our daughter, and I had had my contract terminated by Oldham. I thought Christ, what have I done? Especially as I had left Watford, where I had a contract, to find a club where I could play football. It was a great learning curve, and was a tough time for us both mentally and emotionally. As for the football, I was holding on to it really. I got a knee injury at Arsenal with Watford and I’d had six operations since. I was on a two year contract at Bury, and had my final year of that to go. I wasn’t getting any job satisfaction at that point – my knees were swelling up every other day, the place was a pit – the ground, the changing rooms, the changing facilities – to not be fit and being there was the final straw and I ended it there. I’ve just this week graduated with a degree in Broadcast and Media. I was on a course run by the PFA and was on the course with 13 ex pros, including Lee Bullen and Scott Minto. I’ve completed all my coaching badges and have just taken a part time job at Blackburn with the academy, and a job working with under privileged kids in the Trafford area. I’d like to do some more journalism, but there are not so many jobs around. So we’ll see you on the telly soon then?! No I don’t fancy that! I’d like to do more on the radio though, and I’d like to cover some Watford games when they come to the north west. And when were you last at the Vic? I was at the Liverpool cup game a couple of years ago. It was a good night as a few of the old lads were there – Wrighty, Micah and a few others. It was really nice to see everybody as it had been too long. Any favourite mementoes from your football days? Just one, a nice big picture of the ball leaving my foot at Wembley. It has pride of place in the house. Nice to speak with you Allan, let’s hope we can see you at the Vic soon! Well if I ever got a bloody invite I’d be there! Well here’s one from us!